A Combustion Chamber is the area within the Cylinder where the fuel/air mix is ignited. 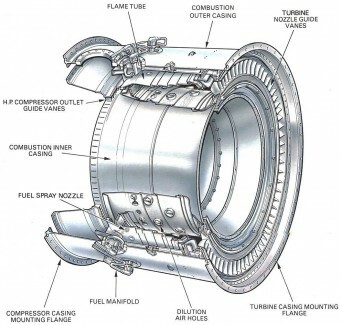 As the Piston compresses the fuel/air mix and makes contact with the Spark Plug, the mixture is combusted and pushed out of the Combustion Chamber in the form of energy. The Cylinder houses many of the important components of an Internal Combustion Engine including the Injector Nozzle, Piston, Spark Plug, Combustion Chamber, and others.